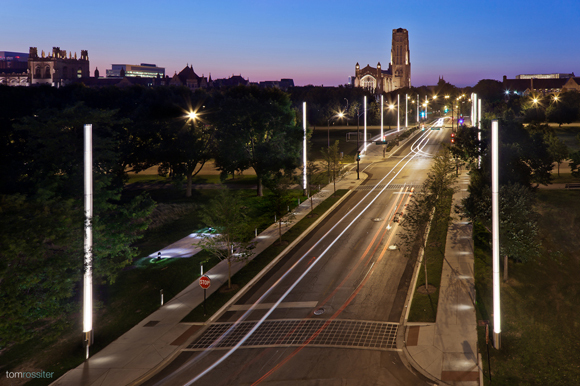 Bauer Latoza Studio worked with James Carpenter Design Associates, the University of Chicago and the Chicago Park District to create three enhanced streetscape crossings through the historic Midway Plaisance. 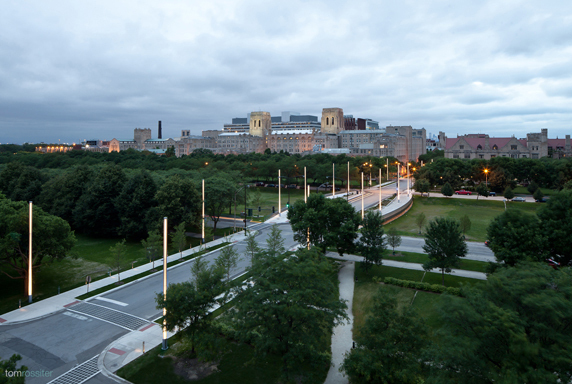 Designed by Frederick Law Olmsted and built in 1871, the Midway Plaisance is on the National Register of Historic Places. 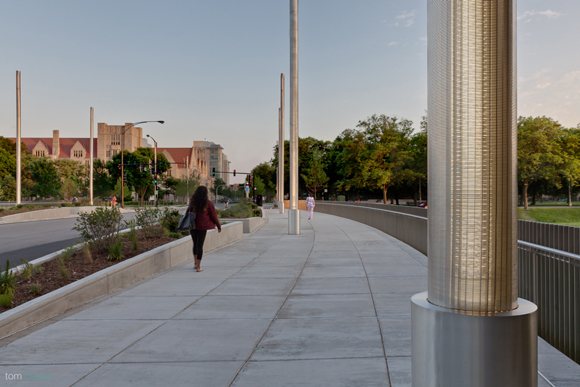 While not true bridges as originally envisioned by Olmsted, the crossings nevertheless serve as a series of landscaped interventions at Ellis, Woodlawn, and Dorchester Avenues. 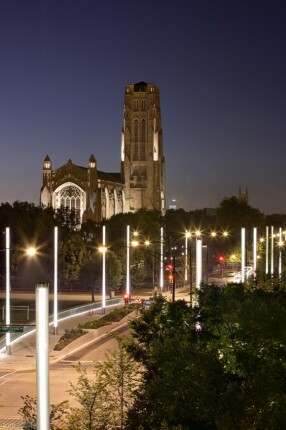 Each feature of the design is intended to provide an enhanced experience: a luminous aesthetic, a fusion of history and progress, a physical connection to the neighborhoods, and an improvement to pedestrian and vehicular travel. 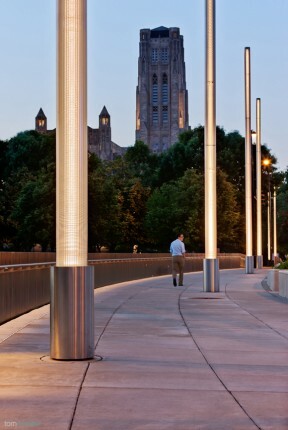 Landscape elements separating pedestrian and vehicular traffic.